Ebenezer Ministries expanded their activities in 2007 to include hosting short term mission trips to Zimbabwe, and in 2008 started the Hug-a-Child Program. Who are John and Sue? 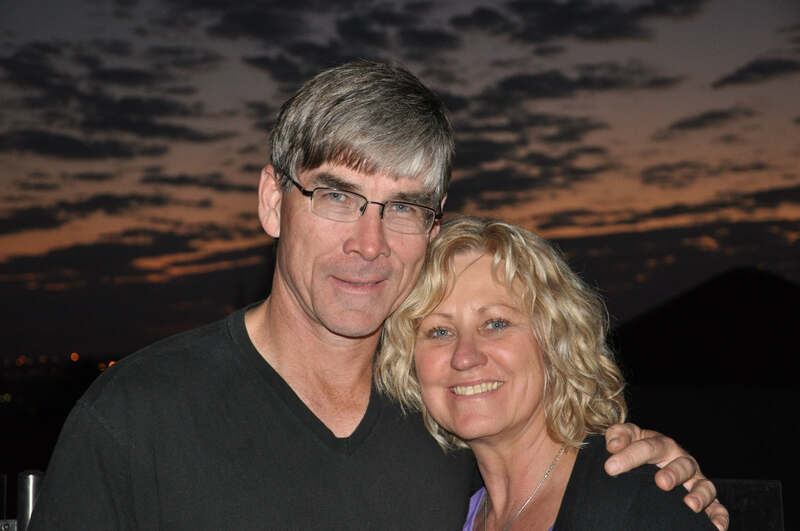 John is the director of Ebenezer Ministries, and focuses his time on prayer, teaching, writing, and encouraging spiritually and emotionally hurting people. Additionally, he serves as a corporate chaplain for a construction business based in Knoxville, Tennessee. Sue devotes her energies to overseeing the Hug-a-Child Program and also serves as director over Africa for Homes of Love, Zimbabwe. Homes of Love is a Knoxville based non-profit that works in Southeast Asia and Africa to establish and maintain loving, small, family-structured homes for orphaned and at-risk children. John and Sue are active in Fellowship Church, and have served there in various leadership and teaching capacities over the past 24 years. They were both born in Africa, where John’s parents were serving as missionaries in what was then Southern Rhodesia, and is now called Zimbabwe. John and Sue have three grown children and eight amazing grandchildren.